When I was a little girl, my books were on spiral notebook paper with raggedy edges. When I was in my 20's, I wrote novels sending them ever hopeful to publishing houses. When I was in my 30's, I wrote novels letting them languish unfinished on my laptop and took a few assignments from trade magazines. This is my seventh year writing randomcathy.com, and I can't tell you what it means to me that you are reading these words. 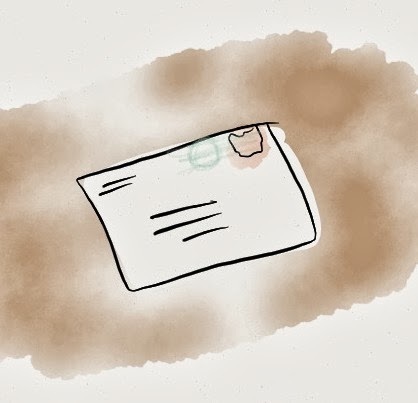 For me, this blog has been an adventure in transparency. Because if I wrote worried about who you think I am rather than who I really am, it wouldn't connect. Words have to be real for them to connect. It has also been a training ground for boiling ideas down to their cleanest parts. Most of the posts are short and the drawings are done in moments. The discipline of trying to capture ideas with a brevity of words and lines has been fun and challenging. 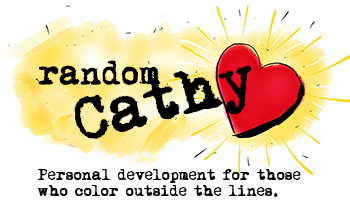 But most of all, randomcathy.com has given me a place to do what I love to do best. Play with the words.